Marina Vallarta, a subdivision of Puerto Vallarta, is just south of the international airport and consists of a large enclave of high-end hotels, condo complexes, lovely homes, restaurants, boutiques, a marina (Marina Vallarta) with a long, wide pedestrian-friendly boardwalk, and the Marina Vallarta Golf Course. The beach at Marina Vallarta primarily caters to guests staying at the resort hotels in this area, with some hotels having sectioned off the beach areas in front of their properties with large piles of rock on either side, thus making it very difficult for the general public to have access to those portions of the beach. Playa El Salado: Although gaining public access to the golden-sand beach at this location within Puerto Vallarta is a bit difficult, there is one public access point to El Salado at the end of Paseo Bocanegra, a tree-lined street which runs parallel to the golf course. To get there just head north from the Hotel Zone and turn left at the second entrance to Marina Vallarta, which is on the street that borders the north side of the peach-colored Plaza Marina Shopping Center (Mega is the anchor store in this shopping center) and follow it down to the beach. Along the way you can stop to admire the Mozayako wall mural being installed by Natasha Moraga and her volunteer team; this beautiful and unique public work of art is created with hundreds of pieces of colorful glass and mosaic tiles. 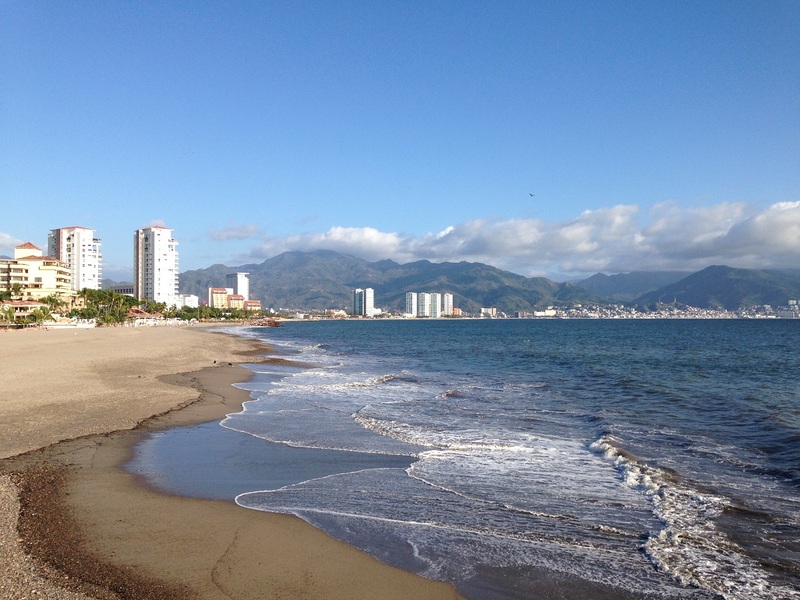 As far as beachfront tourist attractions, for members of the general public who are not staying at properties within the Marina Vallarta neighborhood, there is really not much to see along the stretch of beach here which is accessible to the public. But if seeing the beach area at Marina Vallarta has made your list of things to see and do, then you can take a short walk to a few eateries at the entrance to the Ameca River, or just spread out a beach towel and enjoy seeing airplanes fly overhead. There is on-street parking.